Nail polish contains ingredients to help it adhere to your nails until removed. These ingredients as well as the dye that gives polish its color can cause stains on your clothing. When removing nail polish stains from clothing, treat the stain the same way as removing polish from your nails. Attempting to remove nail polish the wrong way only makes a bigger mess for you to clean up. Place a layer of paper towels on a flat work surface. Lay the garment stained by nail polish on the paper towels with the stain facing down. 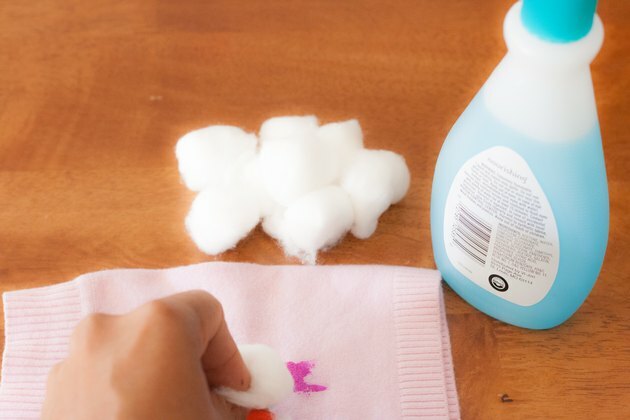 Soak a paper towel with nail polish remover. Sponge the backside of the nail polish stain with the damp cloth. As nail polish transfers from your clothing to the paper towels, change to clean paper towels and continue to blot the backside of the stain. Turn the garment over and swab any remaining nail polish from the garment with a cotton swab soaked in nail polish remover. Pour pre-wash stain remover on any color stain remaining on your clothing, after the nail polish has been removed. Rub the fabric together to work the stain remover into the stain. Let it sit for 10 minutes. 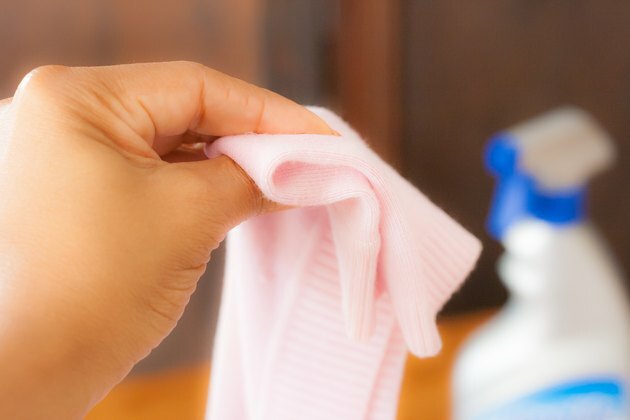 Wash your clothing with laundry detergent. 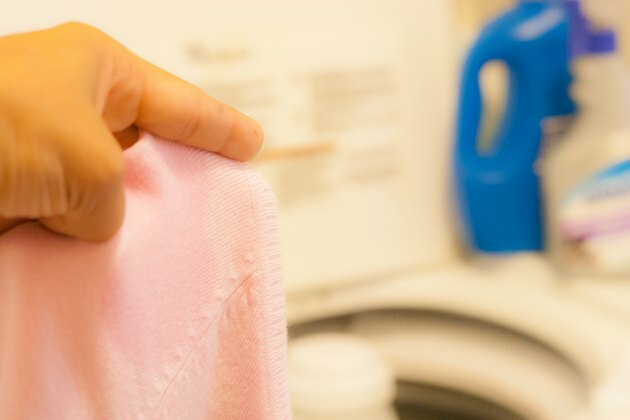 Check to make sure the entire stain is gone before placing your clothing in the dryer.